Anxiety is a sneaky, persistent mofo. Just when you think you have a handle on things, something happens to trigger yet another layer you were unaware of. It’s exhausting to try to control a mind on overdrive or emotions that seem to overpower all rationality. This happened to me just this week – something unexpectedly popped up in my experience and triggered a deep seeded emotional reaction that sent me on a downward spiral of anxiety, fear, and dread. I’m no stranger to this space, I’ve been battling anxiety since childhood and for the most part, I’ve got it (somewhat) under control although it’s a constant effort to manage. But this time it took me a couple of days to really reign it in. I walked around feeling the subtle uneasiness that often comes with an anxious episode – this feeling of ‘something bad’s going to happen’ which then tinted my entire lens of experience and perception. I felt acutely out of control in my own mind, with my own emotions, and especially with my own body. Calm is achieved via the breath. Ancient yogis believed in the calming and grounding power of the breath so much they dedicated an entire limb or section to it called pranayama (breath and life force regulation). 1- Our emotions and thoughts influence our breathing rhythm. Next time you’re overtaken by anxiety try and notice your breathing pattern. It’ll likely be short and fast. And vice versa if you’re in deep concentration or engaged in a pleasant conversation you’ll likely notice your breath is slower, longer, and maybe even deeper. 2- Our breathing rhythm can influence our mental/emotional state. And so, if you begin breathing slowly and deeply you will most probably begin to feel less uneasy and more calm. This Loop functions very quickly. In as little as 5 minutes you can begin to regain control of your mental/emotional state by consciously controlling your breath. This is because deep controlled breathing actually sends signals to your body and brain that activate parts of your calming, relaxing, and soothing nervous system while deactivating your stress response. 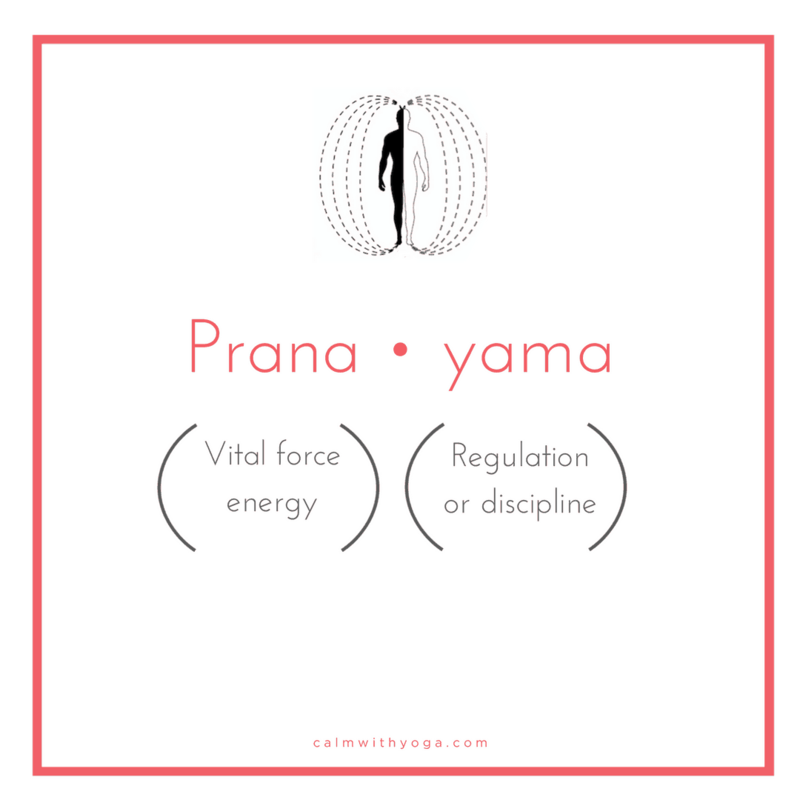 Having experienced the calming effects of pranayama first hand, it is now my first go-to when faced with an anxious moment or any kind of emotional turmoil. It’s the first pillar we cover with my private clients as well, and they also experience noticeable shifts when they adopt a regular daily practice. Just 5 minutes a day of the following breathing technique can help you increase inner calm, mental focus, vital energy, and even deeper rest. It’s a super simple practice – we’re going to inhale, hold, and exhale. You’ll notice that our exhale is much longer than our inhale. 1. Sit upright and get comfortable. 2. Mouth closed, breathe through your nose only. 4. With each exhale, contract your lower belly inwardly towards your spine as your lungs empty of air. 5. Inhale for 4 counts. 6. Hold for 8 counts. 7. Exhale for 12 counts. Practice this daily, and when you become familar and comfortable with this practice then go on to add another 5-minute session each day too. Ideally you want to aim at a 5-minute session every morning before starting your day and a 5-minute session every evening as you wrap up your day. Of course, also use this pranayama exercise whenever you feel the anxiety rising.